Madison, WI (March 30, 2016) – Thanks to the generosity of Dane County workplaces and individuals, more than $19 million will be invested in local, critical strategies dedicated to our community’s toughest issues. Dane County companies and residents demonstrated the power of their giving in 2015 with an incredible response to the community’s campaign. 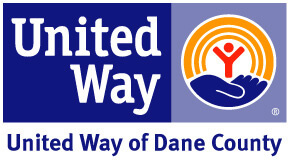 After deep listening and strategic decision-making, United Way of Dane County’s Board of Directors approved $19.1 million to power local programming throughout 2016. Hundreds of community volunteers lead United Way’s investment process and they devote their time to understanding the community’s needs through listening sessions, conversations with non-profits, government agencies, higher education researchers and other key partners. They also conducted strategic evaluations of best practices and researched-based strategies to find those that most effectively change lives. These volunteers, who represent a diverse cross-section of Dane County, ensure the community’s voice is central in these investment decisions. More than $9 million of the community’s investments will go toward programs that support the Strong Roots plan, which was announced in February. UW-Madison Chancellor Rebecca Blank announced the recommendations of a delegation she and former Madison Police Chief Noble Wray led to determine how young families, particularly families of color, can become economically stable. The Delegation’s recommendations are the foundation for Strong Roots, a plan to carry out the strategies and tactics the Delegation laid out. You can find more information on Strong Roots here. $122,500 will be invested in the expansion of home visitation programs with Parent-Child Home and KinderReady. These programs focus on low-income families with young children, so they are prepared to enter school. $25,000 will be dedicated to micro investments for small organizations in communities of color. This investment is designed to expand the capacity of grassroots organizations and develop volunteers for future leadership roles on non-profit boards and committees. $320,000 of a $1 million HIRE Initiative special fund that was led by Jack Salzwedel, President, Chairman and CEO of American Family Insurance, in 2014 will be used in 2016. The one-time gift is being invested over three years. In 2016, $250,000 will be used to expand the capacity of employment training at Centro Hispano, Madison-area Urban Ministry, Vera Court Neighborhood Center, Inc., Latino Academy of Workforce Development (LAWD), Urban League of Greater Madison and YWCA. An additional $10,000 will go to LAWD to offset the cost of equipment new graduates must purchase as the begin working in the construction industry. An additional $60,000 will be invested in YWCA and its YW Transit program. This critical program provides safe, nighttime rides for third-shift employees, enabling them to keep their jobs and build economic stability for themselves and their families.